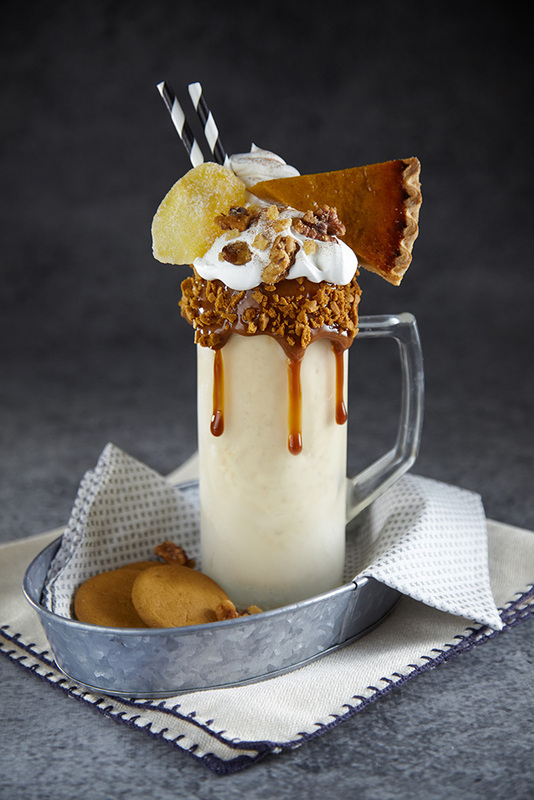 Cinnamon ice cream blended with a full piece of pumpkin pie and sweet, spicy gingersnaps. 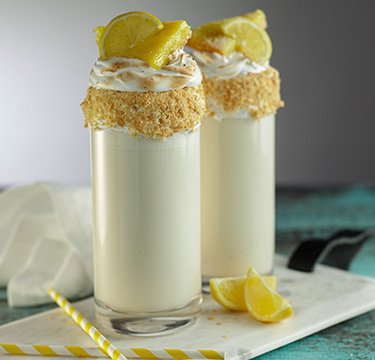 Served in a gingersnap-rimmed glass and piled high with a slice of pumpkin pie, candied ginger and whipped cream, finished with plenty of fresh whipped cream and glazed walnuts. Place cinnamon ice cream, pumpkin pie, gingersnap cookies, and whole milk into blender; blend until smooth. Rim 16 oz pint glass with caramel and gingersnap cookie crumbs. 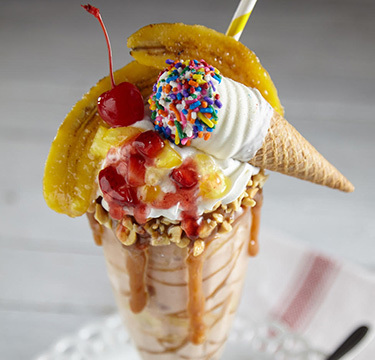 Pour milkshake into rimmed glass. 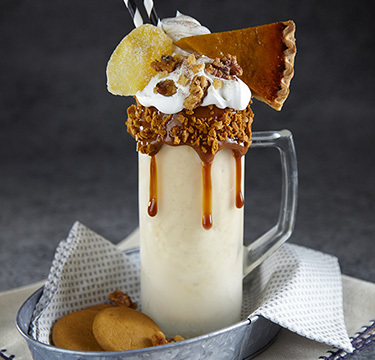 Garnish shake with pumpkin pie slice (optional), whipped cream, candied ginger, glazed walnuts, and a dusting of cinnamon.